The future — now! 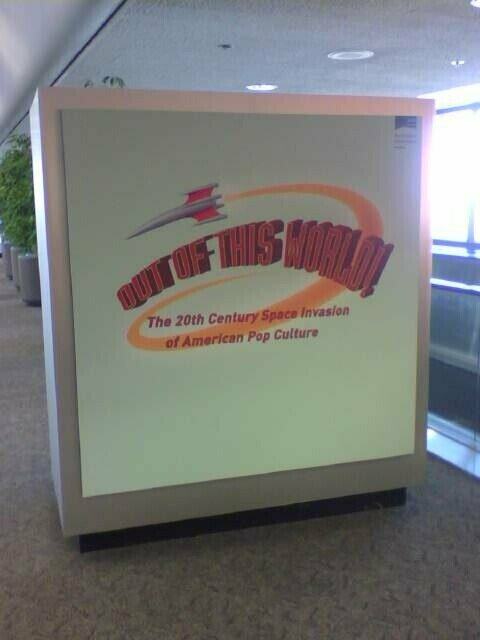 “Out of this World” indeed; it’s great to find how many airports are using their spaces to give a little break to travelers who see the same industrial, utilitarian surfaces in every airport across the world. Better art than garish ads (although in the Albany one I noticed there’s an ad featuring a former student of mine [yes, of course, it’s Omar, it will always be Omar, it may well be until he’s about 100 years old, even though he’s already graduated]). Giant robot, giant comics panel — lovely. 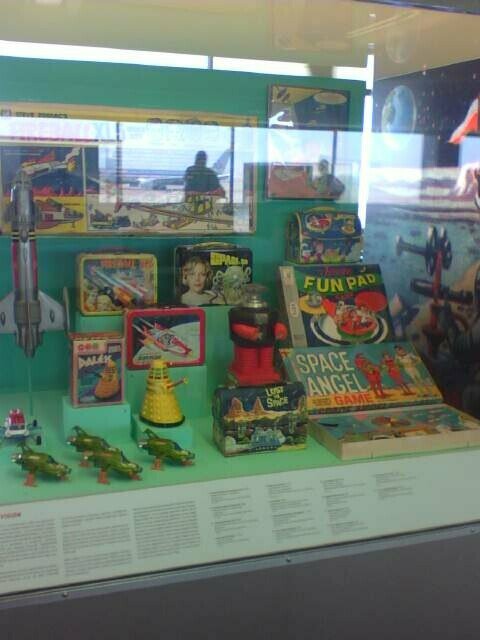 Space Angel is good enough, but what about the bright yellow Dalek?! Wonderful! 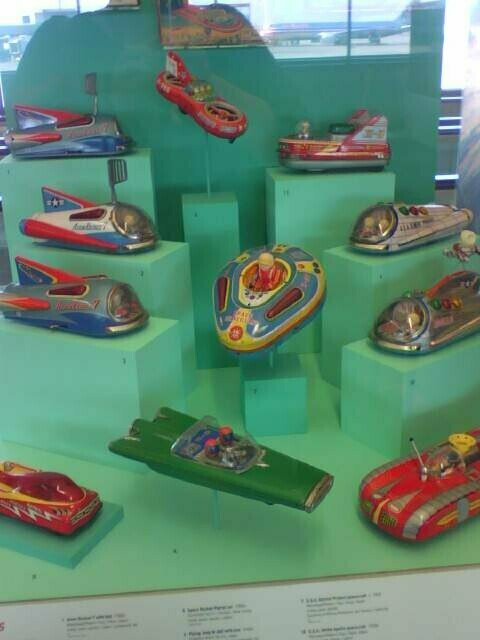 Lovely little rocket cars — don’t you just want one? 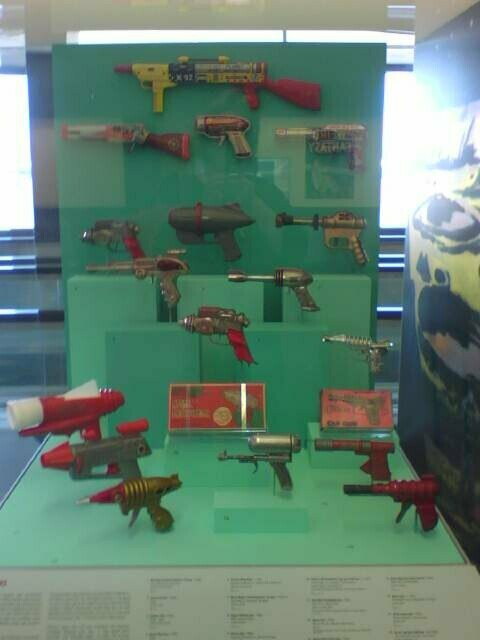 Ray guns — how cool! 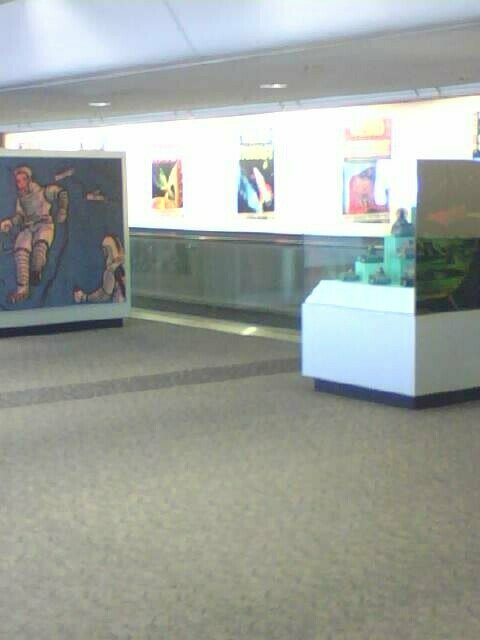 As you can see, the phone tends to wash out pictures in bright light, but this was part of the wall that had the giant WEIRD TALES etc covers blown up big so you could admire them as you were whisked by on the futuristic moving sidewalks. Next Post What was that Name? 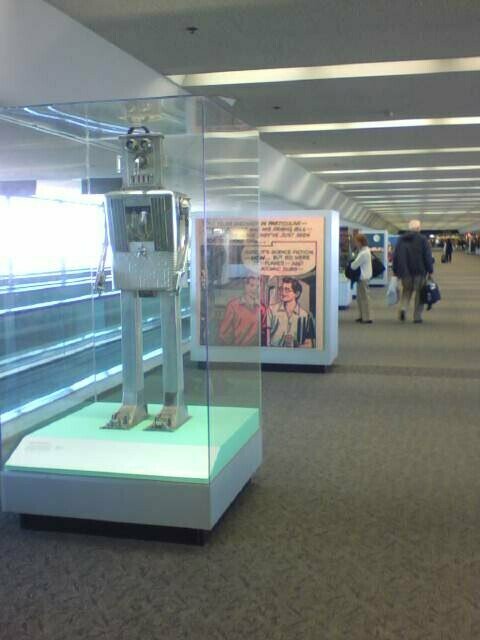 Flagrantly disobeying the insane no-photo demand on the part of SFO, and I’m glad you did. LOL — if the terrorists win now, it’s all my fault. Pity the magazine covers didn’t come out better but I just loved the guns and cars. I could kick myself for not getting a picture of the “Magic Robot” box — what a fantastic juxtaposition of concepts! Neato pictures. It’s the future, but now!